Put a huge smile on any Mum’s face with these great, heartfelt gives I have compiled. Mother’s Day falls on March 31st this year and it’s a hard task trying to find that special gift for a Mum who deserves to be spoilt. So to save you some time, I’ve scoured the internet to find some gorgeous, unique gifts. Loving Mother’s always put their children first so therefore will love this beautiful Tree of life/Circle of Life Sterling Silver Necklace. Engrave the names of her children and add up to 5 birthstones to make it a truly heartfelt gift. Mum’s who already own charm bracelets such as a Pandora, Chamilia, Links of London or Thomas Sabo will love these additions to her collection. 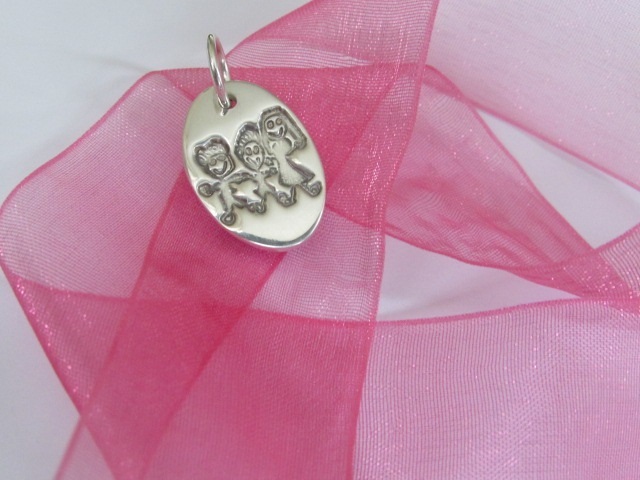 A Fingerprint Bead Charm, featuring the actual fingerprint of her child would be a lovely gift for her to cherish. 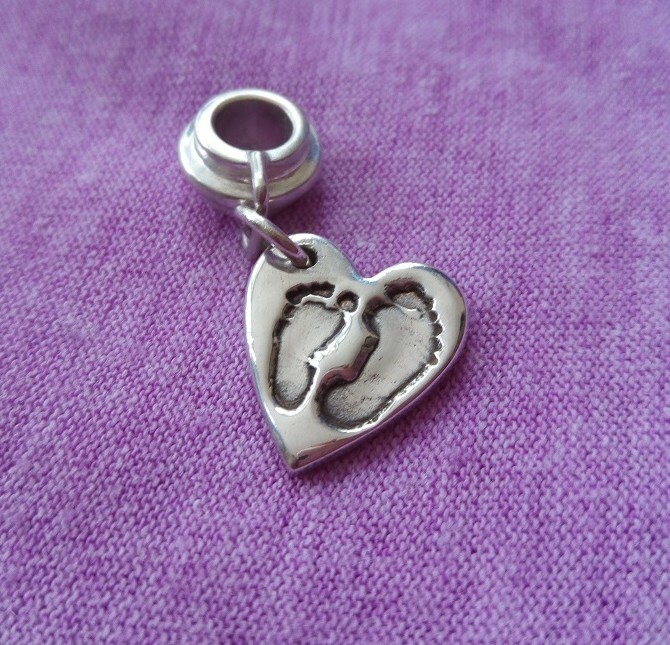 Alternatively, any Mother would love having the actual handprint of her child imprinted onto this Heart Bead Charm. 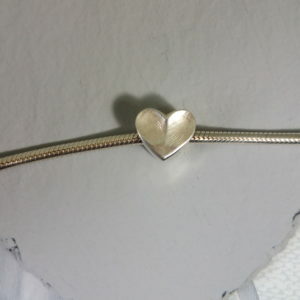 Both charms can be worn on an existing charm bracelet. 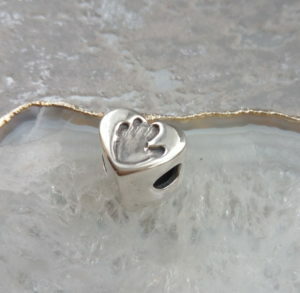 Futhermore, there are other gorgeous Fingerprint Jewellery options to choose from. To find out more about our Fingerprint Jewellery Range, see this page. Engraved with the names and birthstones of her children, Mum will treasure this heirloom Family Ring for a life time. Choose the right ring for your Mum by opting for either Silver or Rose Gold. An elegant, Personalised Crystal Vase would be a lovely gift for any Mum who loves fresh flowers in her home. In additon, the Vase can be personalised with a sentimental message. 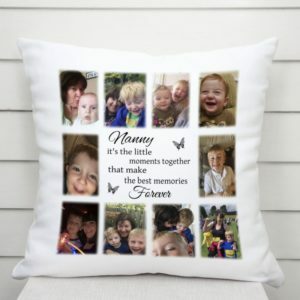 Give Mum something ‘from the heart’ on Mother’s Day by choosing up to 10 photos for this Personalised Cushion. You can make it extra special with a printed message. 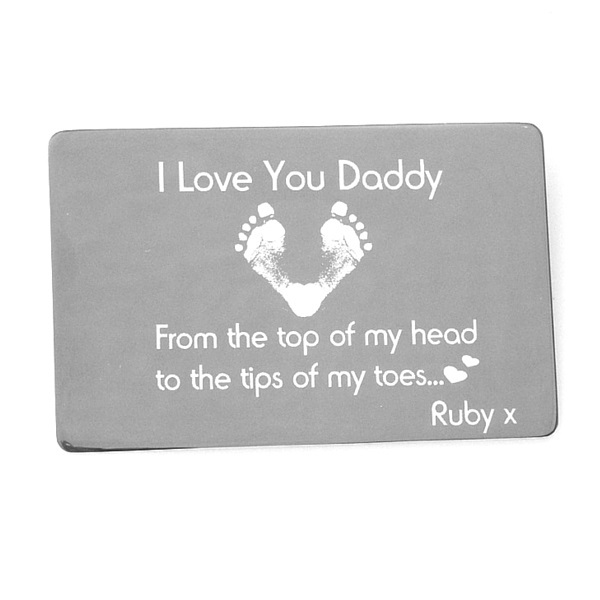 Plus, change the colour of the text to suit your preferences and have the perfect gift for Mum or Nanny. Lampshades are a great way of adding personality to your room and home. 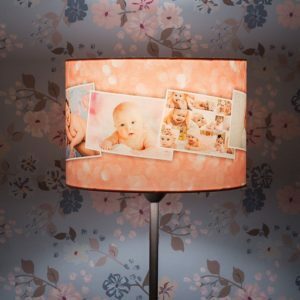 The company, Bags of Love, prints your favourite photos onto a lampshade. You can choose a Table Lamp or a Ceiling Lamp. There are a choice of four sizes to choose from and you can design the arrangement of the photos. Alternatively, you can upload your own designs or add some text. The Cleanse and Polish Cleanser is an all time favourite of mine because it gently removes dirt from your face whilst keeping it moisturised. I think The Liz Earle Essential Kit would be the perfect introduction to this range. Introduce your Mum to Nourish Skincare Try Me Collection and she’ll thank you for her newly pampered face. It contains organic ingredients and no-nasties to ensure your Mum experiences a premium home facial. There’s enough products to give you 15-20 treatments. 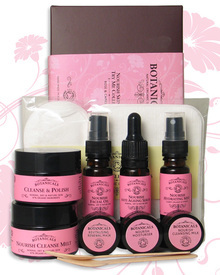 In addition, Botanicals offer free delivery on orders over £40. Furthermore, as an extra treat, spend over £40 on your first order and you’ll receive a free £5 voucher. 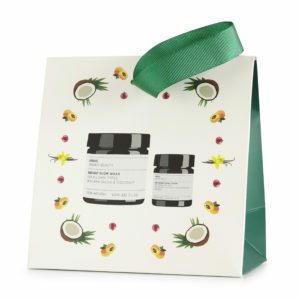 Mums who love Chocolate and Skincare will surely love the combining of both with the Chocolate Skin Heaven Beauty Bag. Created by Evolve Organic Beauty, the bag contains two products; a face mask and cream to make your skin glow. Even more, it gets extra marks for being Vegan and Cruelty Free. Mother’s who love being indulged head to toe will love trying Head to Toe Kiehl’s Care. It contains travel size products to enjoy including a shampoo, conditioner, body cleanser and body creme. Found any other special, heartfelt products for Mother’s Day? If so add them to the comments section. I would love to see what you have found.